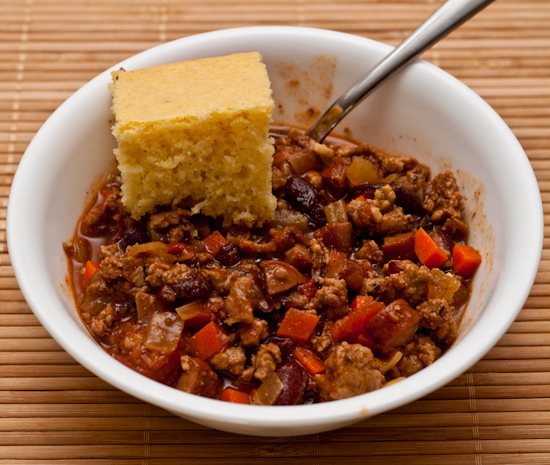 Lunch: I ate leftover chili with freshly baked cornbread for lunch. Dinner: Since the weather is starting to get pretty hot, we're considering having Hairy come and stay inside again. We've been keeping him outside since he prefers the cooler temperatures outside (he is the product of at least two cold weather breeds after all), but we think it's time that he stays indoors with us except for bathroom breaks and exercise. 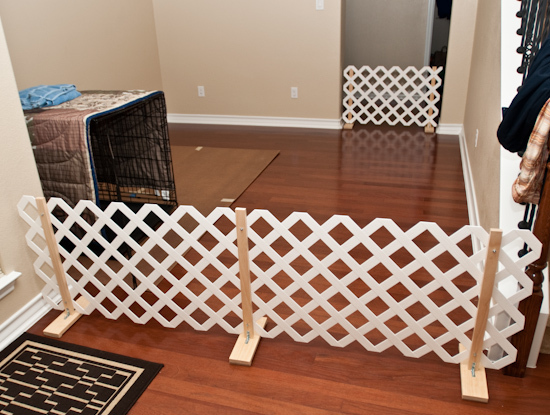 In preparation for this, we decided we needed more pet gates to block entrances and get him used to staying within the boundaries we set for him (which will be useful when we have guests over). One of the problems we faced is that we need a gate that spans nearly eight feet and those aren't too common (and the few that exist are very expensive). 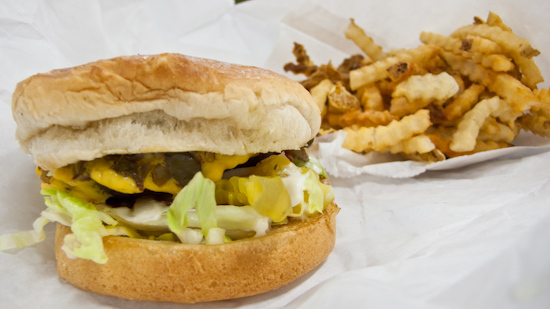 We went to Home Depot to pick up some parts to build out own gates and, afterward, ate dinner at Mighty Fine where I had a Jr. Cheeseburger with bacon and grilled jalapenos. Here's a picture of two of the three gates we built.